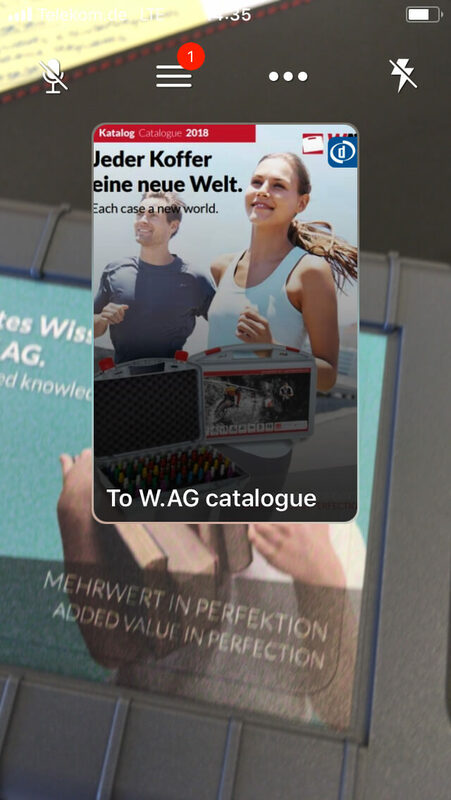 The small format series BEAT by the German case manufacturer W.AG is perfect for storing give-aways and is therefore ideal for promotional campaigns. In-house foam processing means that individual foam inlays can be created and manufactured for BEAT – all tailor-made for the gift item. In doing so, for example, the individual logo – regardless of whether it is lasered through various foam colours or into the foam – will support professional presentation from the inside. The exterior design can also be remarkably adapted to the specific brand: on the one hand through the colouring of the BEAT half-shells and the box closure, and on the other hand through the colour-brilliant in-mould labelling process in 4C Euroscale. 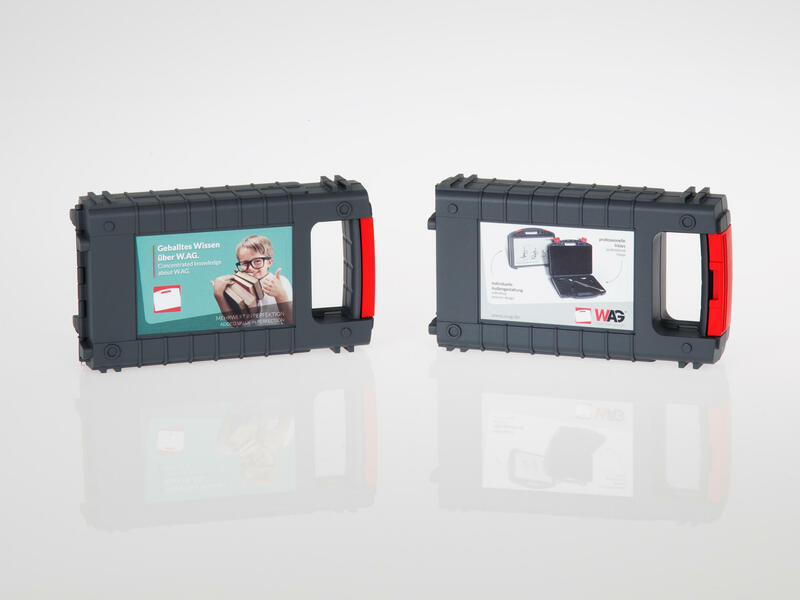 By using In-Mold Labelling (IML) it is possible to realise advertising messages with high-quality images on the BEAT. If you want to make the give-away recipient aware of digital content, you can add an IML slide to the Digi marc barcode. The invisible barcode is a good alternative to the traditional QR code because it does not interfere with the graphics on the IML. For many artworks, a QR code is simply an ugly foreign object. 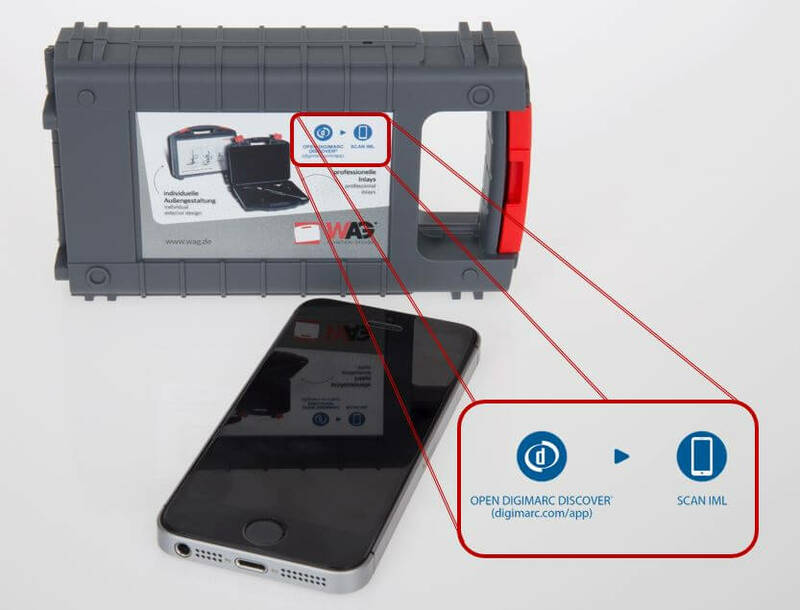 With the free Digimarc Discover App, which can be downloaded from the Apple App Store or the Google Play Store, you can scan the Digimarc barcode with a mobile device including a camera function (smartphone, tablet PC). The user can then access content such as info websites, online picture galleries, manuals, videos, competitions etc. via their smartphone. More about Digimarc can be found on our Digimarc page and in our catalogue. 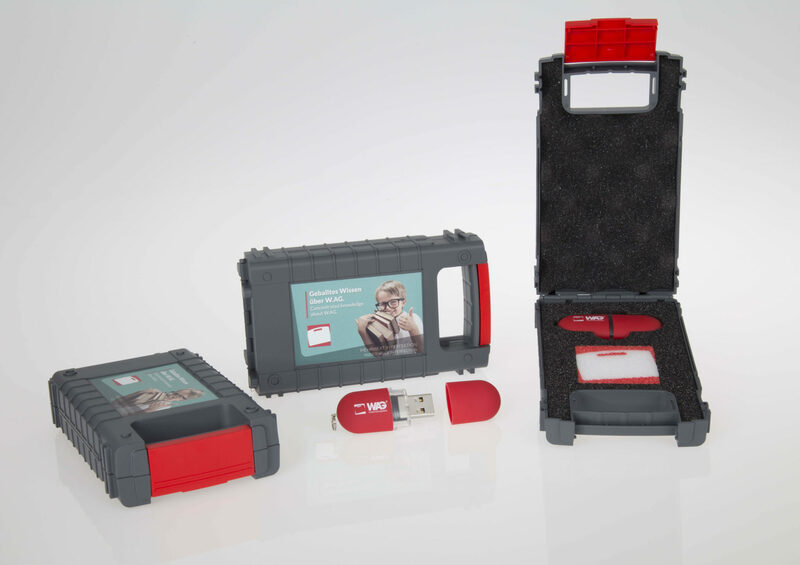 In the end, the promotional gift or give-away inside the protective BEAT captivates through a high-quality and professional presentation and from the outside through a unique colour and moving pictures. 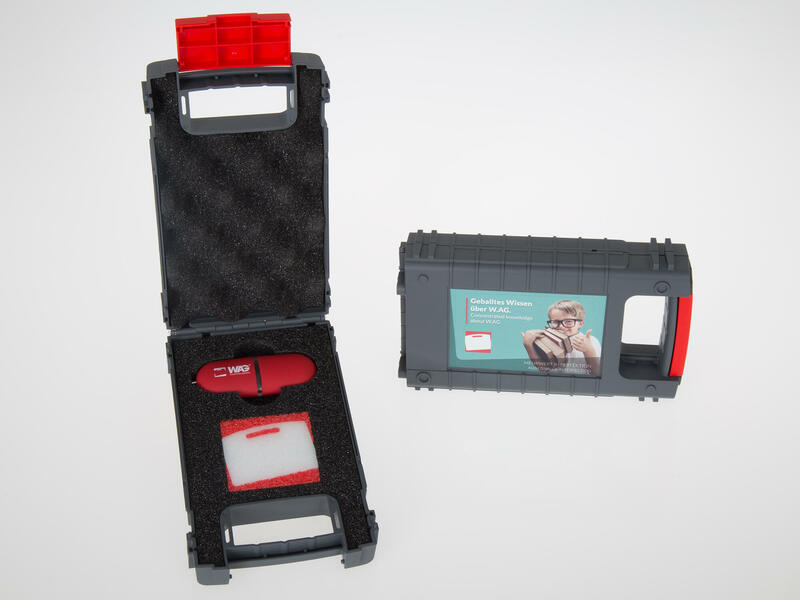 The gift inside the box and the BEAT case together are a great combination, providing a long-term presence on the desk of the prospect, customer, partner, etc. and enable brand recall, even after a long time.